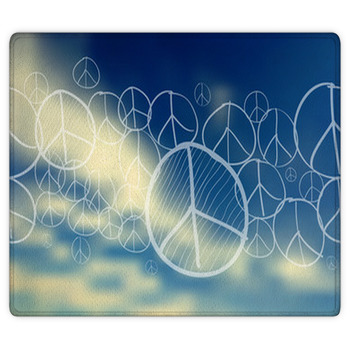 VisionBedding's peace sign rugs will have your whole family walking the road to peace. 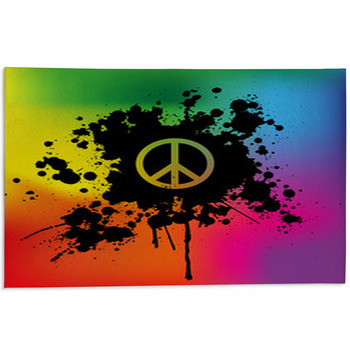 From peace sign designs of hot pink on white backgrounds to those that look like family royal crests to dripping rainbow-painted peace signs, we have a variety of styles and designs that will let you give peace a chance. 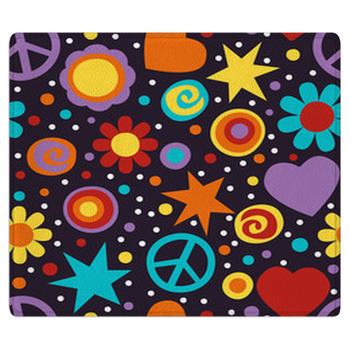 Try a groovy multicolored rug that features stars, rainbows, and hearts along with the peace sign. 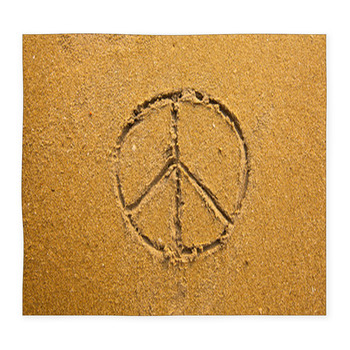 Or, if you want a more subdued look for your peaceful rugs, go with a peace sign etched in the sand. 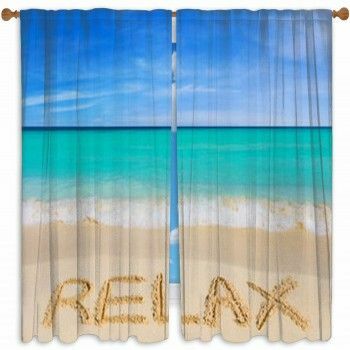 And if our peaceful designs aren't bringing you calm, you can always create your own! For a simple and clean look, sap the colorful hues and create a gray peace sign on white background. Layer the world "Peace" below for a personalized message. 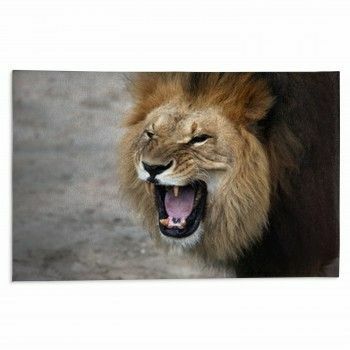 Our custom rug creation will have you using your own peaceful photographs to design your space. And, with the mix and match styling available to you, you can combine two or more designs for a peace of mind that will jive with the rest of your decor. 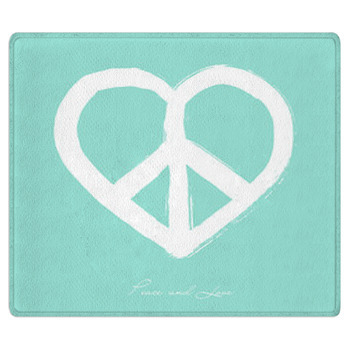 Try a custom sized round rug that features a light blue peace sign on a bright pink background. Another design, perfect for your plush rugs, includes a polka dot overlay that makes it look as though peace itself is sparkling. This design is as feminine as it is cool, and is sure to be a hit with the younger crowd. 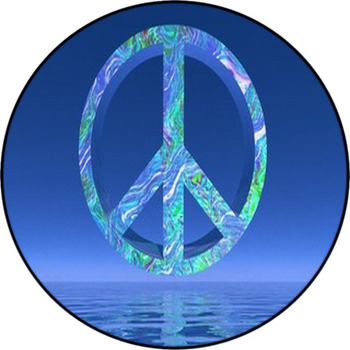 In one variation of an area rug, a tie-dye colored peace sign looks bold against a plain white background. It is modern, abstract, and totally cool -- it will bring anyone's room a modern and vintage look, simultaneously. Our floor mats can be dressed for peace too, such as a Buddha peace sign design for those spiritual peace lovers out there. Peace sign rugs are the perfect way to get a little bit retro while showing off that you are fashion conscious through your bedroom decor. There is nothing more cool or hip than using this symbol throughout your room and giving the theme a taste of the 60s and 70s. Whether you are looking for something with tie-dye or just want to stick with a neutral color palette, there is something available for every type of cool cat. 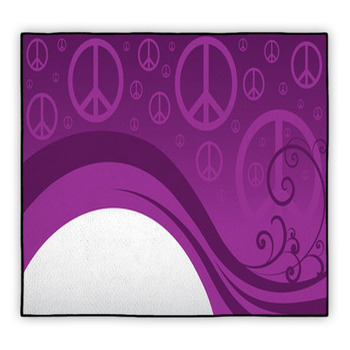 And let your theme stretch as far as world peace when you set peace sign rugs throughout your home. These rugs can add to an existing and calming theme, or they can be the starting of a peace theme in the entire home. Our peace rugs are perfect for your stylish teenage peace-nicks. 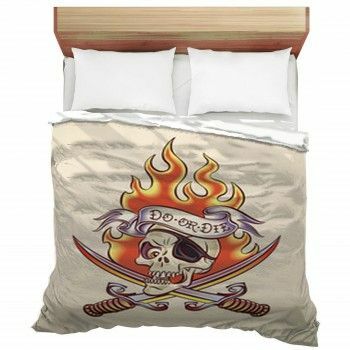 Making sure that young women have rooms adorned with decor that represent their uniqueness and individuality is absolutely imperative, especially during their pre-teen and teenage years. It is important to make them feel cool and have something to show off to their friends. Right now, there is nothing hipper than retro styles, which is why peace sign rugs are perfect for bringing back the 60s and 70s. Girls will love having the option to combine their love for being girly-girls with the concept of something vintage. 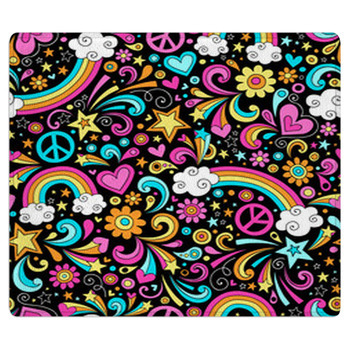 Everyone in your home, young or old, will get a peaceful, easy feeling with VisionBedding's peace sign rugs.